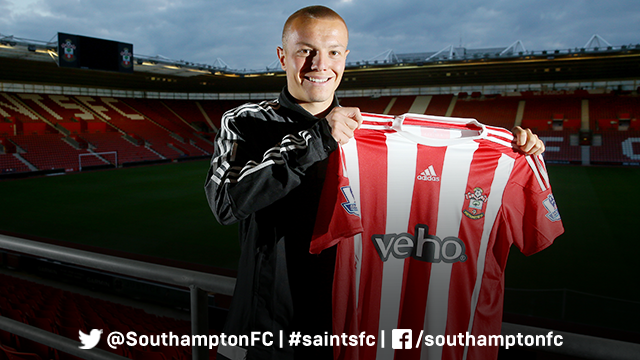 Late in the evening on the 15th July, Jordy Clasie signed a five year contract with Saints, completing his move from Feyenoord. The 24 year old Dutch International has 11 caps for his country, featuring strongly for the Netherlands as they finished third in the 2014 World Cup. Jordy made his debut for Feyenoord at the age of 20 in Ronald Koeman’s first game in charge of the Rotterdam club. Saints Les Reed said : “Like Cédric Soares and Juanmi, he has emerged from an academy with a set of values closely aligned to our own and has spent the entirety of his prior professional career contracted to one club." This has been a move that was mooted for a long time, but it wasn't until Schneiderlin completed his move to Manchester United earlier in the week, that Saints made their move. Make no mistake, this is an absolutely key signing for the future of the club, but I am sure that he will fit right in to Saints way of playing. Much has been made of the link with Koeman and rightly so. As Les Reed rightly pointed out, Ronald was Jordy's manager for three seasons when he first broke into the Feyenoord side. I look forward to watching this impressive young man playing in Saints colours for many seasons to come.